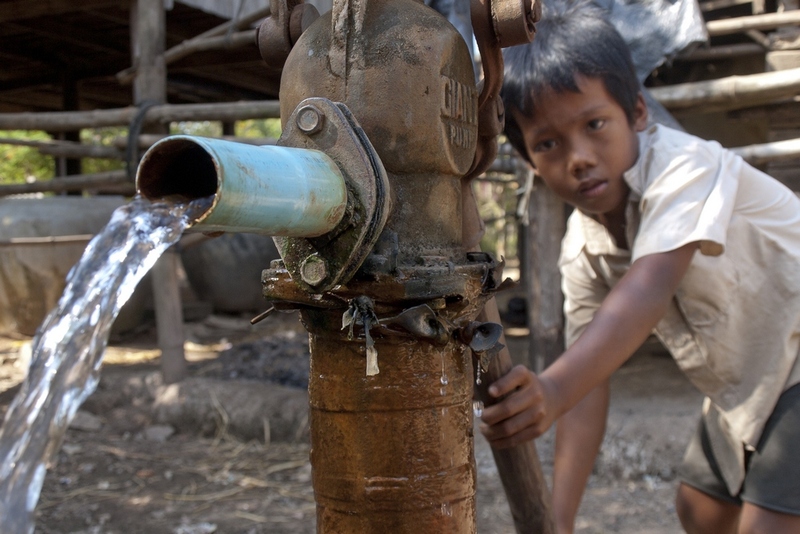 In Cambodia, Clean Water Partners works with local organizations to assist each in program design, measurement, reporting, funding and communications. Our partners are involved in a variety of innovative solutions to meet communities needs for safe and sustained water supply. We’ve worked with partners who are addressing the water, hygiene and sanitation needs of communities living in very isolated locations through groundwater development and rainwater harvesting. We are also working with local partners who are working in villages where communities are drinking from arsenic contaminated groundwater. In these communities our local partner provides education on the risks of drinking from contaminated hand pumps and provides families with alternatives solutions from surface water filtration to household rain water tanks. We’ve worked alongside our local partner in program design, measurement, fundraising and reporting. We also assist partners in the technical aspects of choosing effective WaSH technologies to meet the local situation. In Stung Treng, we’ve worked with our local partner to design a water supply system to meet the needs of their 5 hectare Rural Agricultural Training Centre. The project included designing a water system that could supply 40,000 litres of water per day to meet the needs of the property. The solution included a 55 metre deep borehole, with a solar pump that could lift 40,000 litres per day. The water is stored in 2 x 25,000 litre tanks and then distributed by solar pumps through 900 metres of piping to tap stands around the property.